The Month: January is named after Janus, the god of the doorway, because it signals the beginning of a new year. But, because no new year can begin until the previous one ends, January (and Janus) are also both associated with looking back to the past year. In short, January is when people take stock of the last year, make resolutions for their future, and take their first steps toward their future. 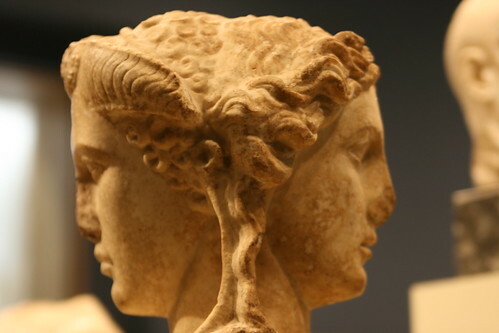 Hence, Janus is always depicted looking forward and backward. The Men: So, why don’t we also act two-faced by remembering 2009 while looking toward 2010. As for last year, I must say I was very pleased with our squad’s performances. We did a decent job during World Cup qualifying, made a memorable run at the Confederations Cup, and continued to send our best abroad to hone their skills. Other than the tragedy involving Davies, we have much to be thankful for. I think 2010 will be an even better year though. Why? The Musings: Well, if you have been following my World Cup Preview, you know I like the Yanks’ chances to upset England, and I think the team will make it (relatively) deep into the knockout rounds. I am not predicting that we will win it all, but I do think we are one of the most underrated teams going into the tourney, which can only help us. All in all, this January’s events (camps, transfers, etc) showed me we were heading in the right direction. We are Janus for now. But soon we will only have our eyes staring straight ahead at the prize, the 2010 World Cup.